This week I made a quick and simple card for my niece who has just started her college. Time really flies, I still remember baby-sitting a 4-month old baby who has cried all the entire hour while her mom was with the dentist. I am so proud of this young lady. 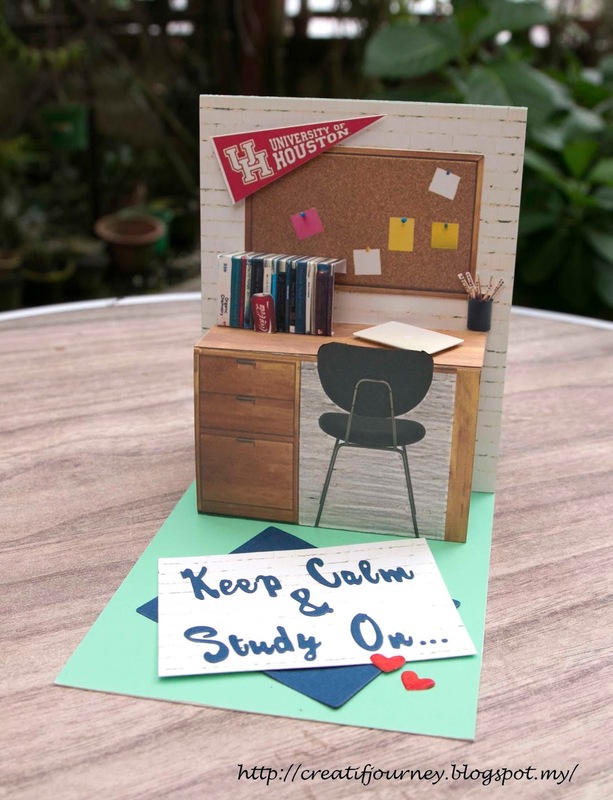 Both the templates and instruction video are available on the Study Desk Pop Up Card Templates and Instruction Video Post. So cute, she will love it. 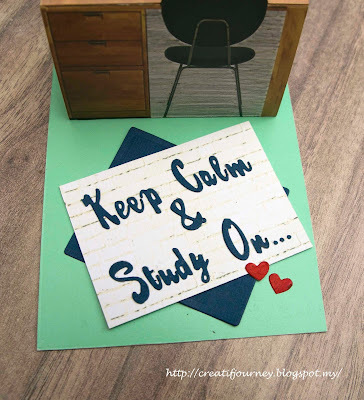 Thanks for joining our challenge at Die Cuttin' Divas this week. WOW What a fabulous creation ... she will adore your efforts! Thanks so much for playing in our ‘BACK TO SCHOOL’ challenge at Dies R Us! Please come back again soon! Oh my gosh.... So super cute!! What a perfect card for a student! Thank you for joining our “3D” Challenge this week at Die Cuttin’ Divas.